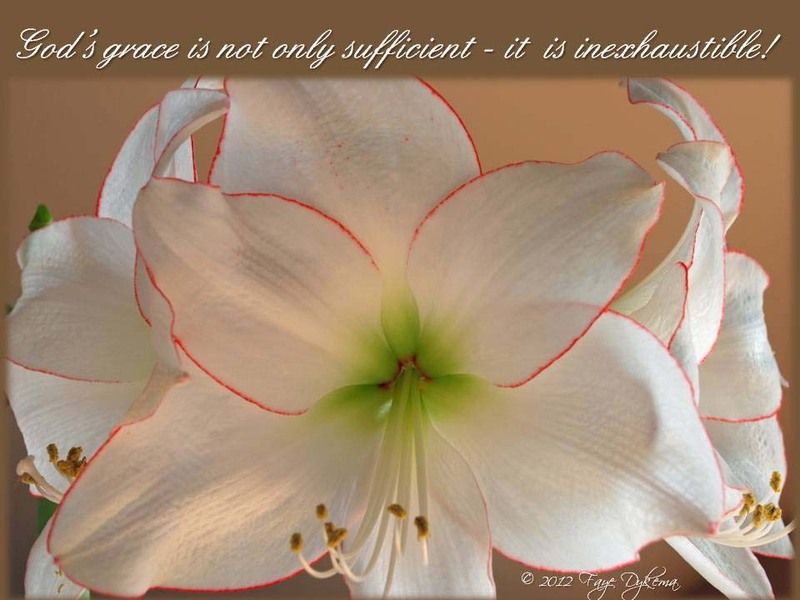 Inexhaustible Grace | God's Abundant Blessings! Posted on May 9, 2012, in Contentment, God's Blessings, God's Grace and tagged guilt, inexhaustible grace, joy, peace, rheumatoid arthritis, Romans 5:20, serenity, worry. Bookmark the permalink. 1 Comment. Thanks for your thoughts on grace. I am a preacher preparing to preach on Ephesians 1:7 and was thinking about the riches on God’s grace. I stumbled onto your blog and was blessed to read about the grace you showed to the lady with RA. I may use that illustration in my sermon. I assume that is OK since you have shared it publically. May the Lord bless you as you strive to serve Him and be a witness for HIm.